I was flipping through some old climbing magazines the other day looking for inspiration. I quickly realized when you take away the women in ads or just standing around in the background of photos, it leaves you with very few women actually climbing. I wish I could have included Rock and Ice (second most popular), but I couldn’t find back issues for 2015. The most recent full year I could find was 2013. The numbers were very similar to the other three magazines: 2 out 8 covers or 25%. I am not sure how anyone identified in terms of race, gender, sexual orientation, etc, as I didn’t look up up more information about everyone by name. But it is worth noting that (unsurprisingly) this was mostly a white, cisgender looking crowd. I realize that magazine covers for a fringe sport is not exactly the most pressing social justice issue. BUT the representation of women in the media shapes how we think of ourselves. It can inspire us — or make us set the bar much lower. Why are there so few women? Editors think (or know) that covers with women won’t sell. Editors choose photos of people who remind them of themselves. Climbing photographers are mostly men who climb with their male friends. I’d love to hear your thoughts on my theories. What have I missed? 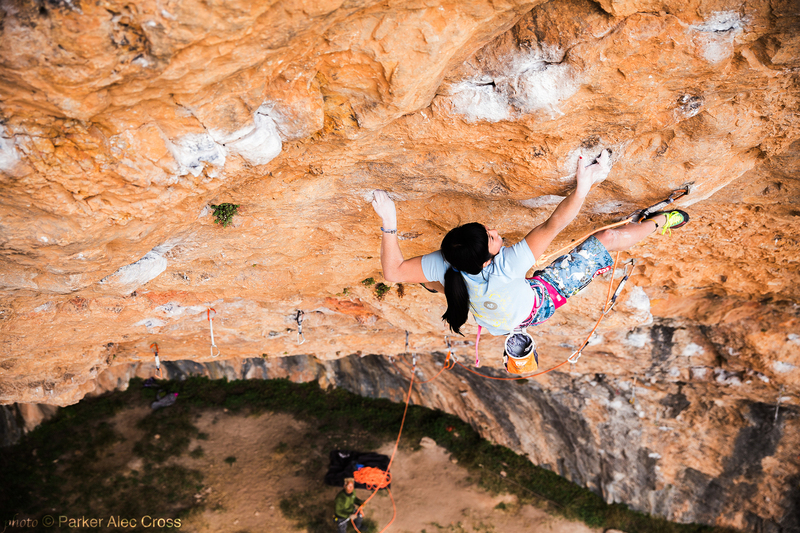 Feature photo: Ashima Shiraishi, one of the best climbers in the world. Read her interview with BuzzFeed discussing her record breaking year. She has my vote for being on climbing magazine cover soon! I’ve noticed this, too. Though the number of men participating still outnumber the number of women, there are more and more of us out there loving all aspects of the sport. It would be great to see more coverage of women climbers, more features aimed at women, and, yes, more covers featuring scruffy, scratched up, muscly female members of the tribe.